Really, Really quick update. 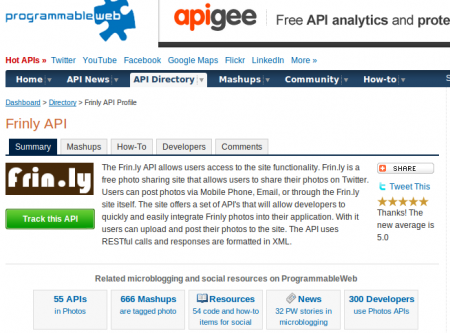 Last night the Frinly API was added to Programmableweb.com’s API directory. To me this is huge deal because I’m such a big fan of the site. The approval process took a about week or maybe it was two, and I have to admit there where times that I was seriously doubting if it would ever happen. Then last night at dinner, during one of my random email checks, BAM, the acceptance email! Yea that basically made my day, it was pretty Awesome. Brand New Year » « A good Linux PHP Editor?